Can a religion become the origin of hatred and death? Is there, among the various faiths of the Earth, one that is more apt than others to become fundamentalist? In this essay, quick and easy to read, the author examines the planet’s largest religions interpreting them from the psychological point of view to understand what the mechanisms of transformation are and how a message, which should be of peace and love, may deviate from his path, producing sometimes devastating effects. Based on international events of recent decades, taking a cue from long interviews with representatives of various religious, the author reconstructs a linear and comprehensive picture, coming to the conclusion that no faith, by itself, is fundamentalist. People determine, for various reasons, the drifts that lead to massacres, bombings, wars, discrimination, persecution. 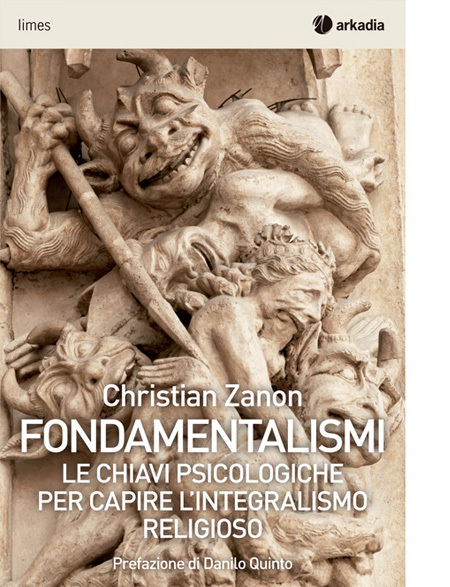 Christian Zanon, without any prejudice, delimits the areas where the humus of this serious problem grows.